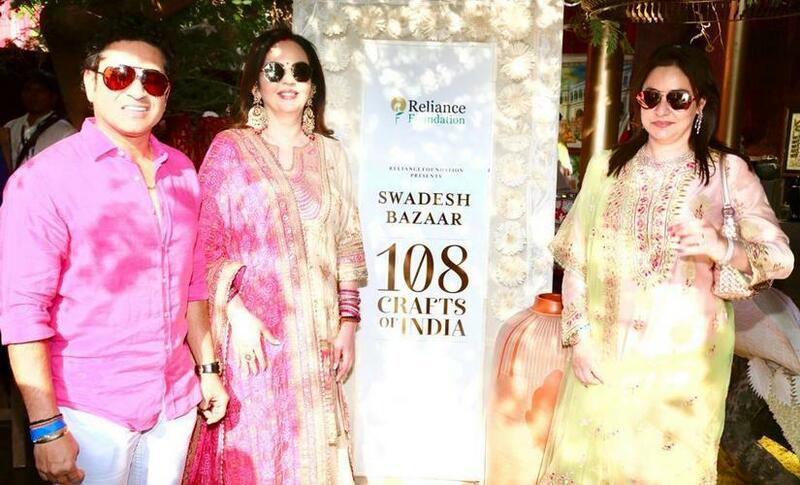 Nita Ambani, chairperson of Reliance Foundation, and her daughter Isha Ambani on Sunday visited Swadesh Bazaar, a showcase of traditional Indian crafts and art forms on display for national and international guests attending the pre-wedding functions of Isha Ambani and Anand Piramal. 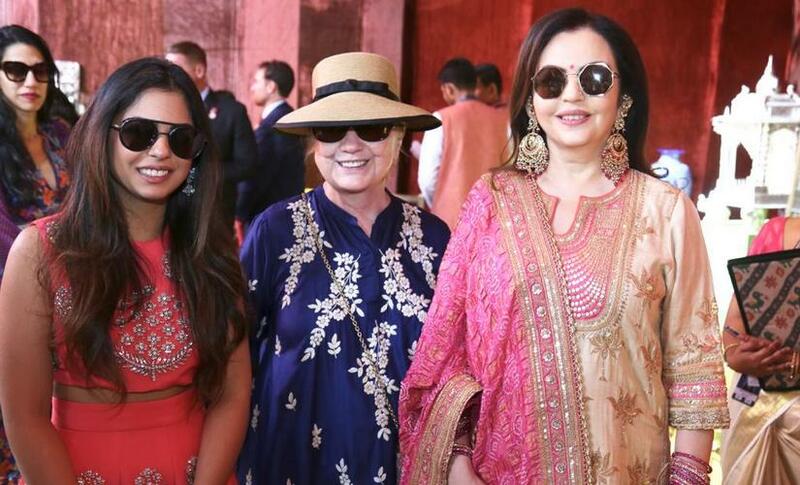 Nita Ambani with her daughter Isha Ambani along with former US First Lady Hillary Clinton at Swadesh Bazar, an initiative of Reliance Foundation. The grand wedding is slated to be held on 12 December. The special 'Swadeshi Bazar' was set up inside a hotel, where 108 traditional forms of Indian art were put up by master craftsmen and craftswomen from different parts of the country, including Rajasthan, said a source engaged in the pre-wedding arrangements. "Reliance Foundation has been supporting these arts and crafts over the years and aims to broaden and deepen its support to the goals of 'Swadesh Bazaar' on a bigger and more sustainable scale in the future," an official release said. Nita Ambani with former cricketer Sachin Tendulkar and Anjali Tendulkar at Swadesh Bazar, an initiative of Reliance Foundation. Textiles of 30 types and paintings were among several items available in the market set up for the guests. Among the crafts and art forms on display were Jamdani from West Bengal, Patola from Gujarat, Pashmina Kani from Jammu and Kashmir, Kota Weaving, Chanderi weaving and Maheshwari from Madhya Pradesh and Mekhla Chador from Assam. Bollywood stars including Salman Khan, Aamir Khan and his filmmaker wife Kiran Rao, Priyanka Chopra and husband Nick Jonas, Abhishek Bachchan and Aishwarya Rai Bachchan, Vidya Balan, cricketer Sachin Tendulkar and businessmen LN Mittal were also among the nearly 1,200 guests who attended the Ambanis' functions. 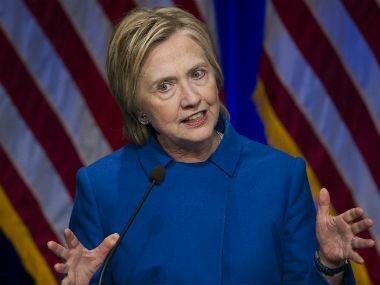 Former United States secretary of state Hillary Clinton and a host of global CEOs arrived in Udaipur on Saturday for the Ambani-Piramal pre-wedding celebrations. Many of the guests arrived in 150 chartered planes and 44 routine flights, which landed at Udaipur airport on Friday and Saturday. 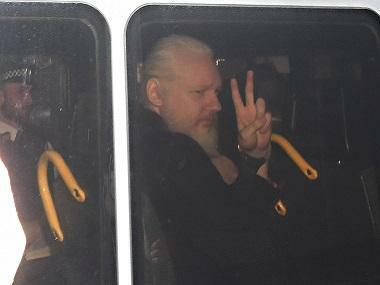 Many also left the city in 35 chartered planes. On Sunday, new guests arrived in five chartered flights.